Enjoy this Snowman decoration. He is ideal for Christmas enthusiasts and decorating extremists. She stands 2' and is dressed for winter, wearing her Red hat and jacket, purple & White scarf. 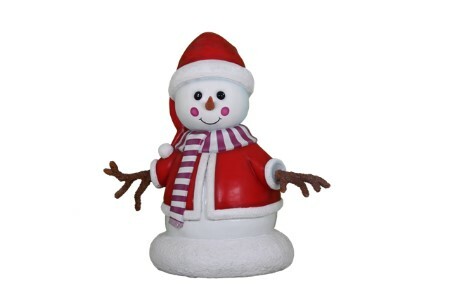 She is perfect for any small display whether at home in the yard. She looks great displayed alone, or with the entire family! Made of polyresin and UV stabilized for indoor/outdoor use.